The iced coffee instant drink powder of Hungarian food company Tutti Ltd. has been awarded the Hungarian Product Grand Prize, according to a press release issued yesterday. Hungarian meat company Darnó-Hús and restaurant Kont Étterem were also awarded the accolade. 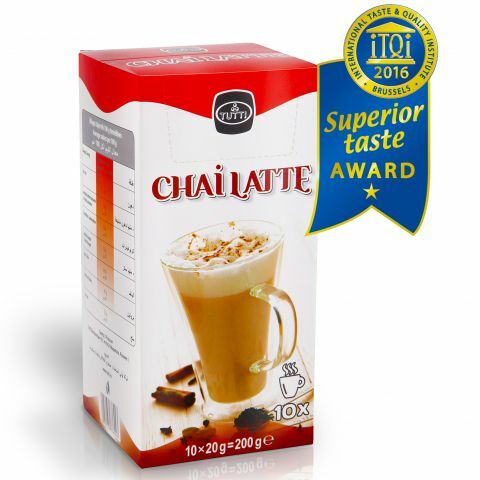 The Chai Tea Latte tea powder of the Tutti Ltd. received a Gold Star Award from the international professional jury of the Brussels-based The International Taste&Quality Institute (iTQi). 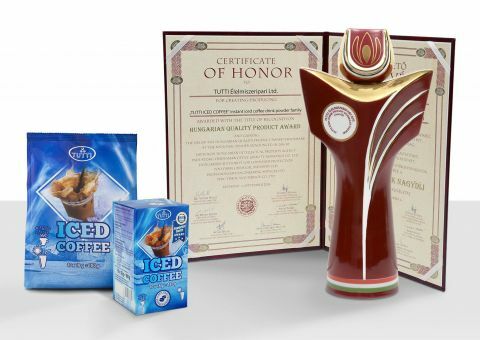 Tutti Iced Coffee has been honored with 3 stars - Superior Taste Award 2015 from the prestigious International Taste and Quality Institute (ITQI). It is a top competition whose goal is the tasting of high quality food and beverages from all over the world ITQI is a leading independent organization dedicated to testing and promoting superior tasting food and beverages from around the globe. 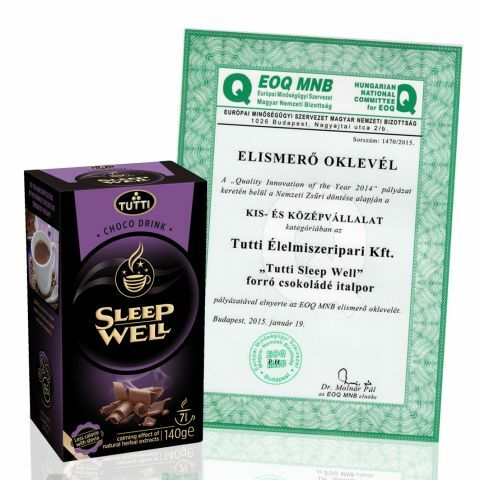 Our Tutti Sleep Well hot chocolate drink powder won on 2015. januar 19. Quality-Innovation Award. 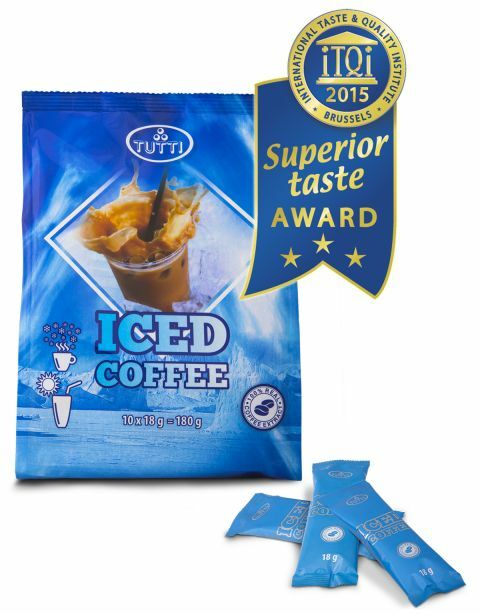 Tutti Iced Coffee has been honored with 3 stars - Superior Taste Award 2015 from the prestigious International Taste and Quality Institute (ITQI). TUTTI Food Ltd was granted the Hungarian Agricultural Quality Award that was taken from dr Sándor Fazekas Minister of Rural Development by Ottó Prohászka Managing Director of Tutti Ltd. The tender’s – advertised by the Ministry – aim is to acknowledge and remunerate those domestic organizations which are demonstrably committed to quality and give high priority to qualitative work, produce merchandise consistently of high standard and provide constantly high quality service. The other goal of the tender is to create, introduce and operate such a model by the awarded organizations efficiently that is admirable and promotes the continuous development of the other participants of agriculture. According to the committee’s proposal the Minister of Rural Development decided to present the Hungarian Agricultural Quality Awards. The prize was given by the Minister of Rural Development at the ceremony of 15th March 2012 in the building of the Ministry. 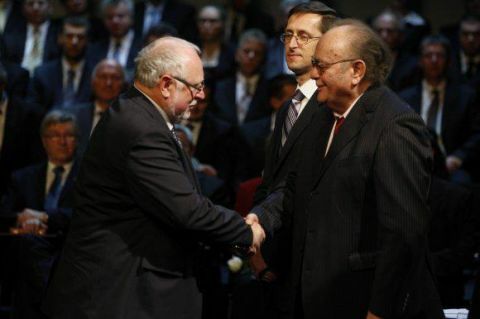 Bureau Chief of National Association of Entrepreneurs and Employers gave the 2011 Entrepreneur of the Year Award to Ottó Prohászka, one of the Owners of Tutti Food Ltd.
Every year the award is given to those who achieve outstanding result in their own business while also engaged in significant public activity. On the 13th edition of Entrepreneur Day, 2nd December 2011 at a ceremony in the Palace of Arts, Ottó Prohászka could collect the award from Mihály Varga – Secretary of State of Prime Minister's office –, Sándor Demján – Executive Chairman of National Association of Entrepreneurs and Employers – and János Tardos – Serial Chairman of National Association of Entrepreneurs and Employers. At fourth time, altogether 30 domestic small- and medium-sized enterprises received this tribute at the Pegasus Awards Ceremony. The Pegasus Award grants the efficiency of Hungary's most dynamically developing small and medium-sized enterprises. 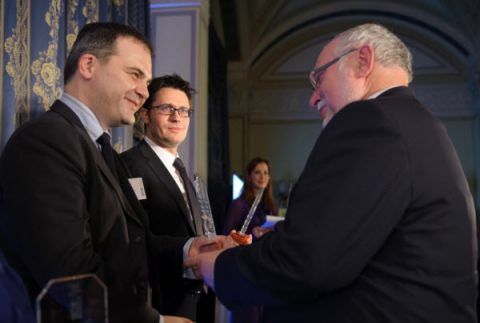 The honor was granted on 1st December 2011 at an exclusive ceremony in the Hungarian Academy of Sciences by founders of the Award Enterprise Investors managing private equity and venture capital funds; Dun&Bradstreet international company qualifier and as a supporter Ernst & Young the leader in assurance, tax, transaction and advisory services; and White & Case LLP International Law office one of the largest law office in Hungary.